American government is in the midst of a reputation crisis. An overwhelming majority of citizens—Republicans and Democrats alike—hold negative perceptions of the government and believe it is wasteful, inefficient, and doing a generally poor job managing public programs and providing public services. When social problems arise, Americans are therefore skeptical that the government has the ability to respond effectively. It’s a serious problem, argues Amy E. Lerman, and it will not be a simple one to fix. 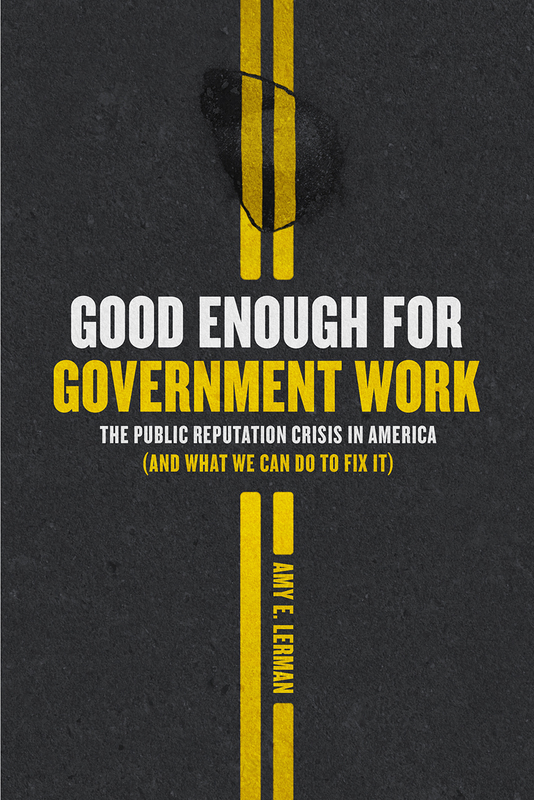 With Good Enough for Government Work, Lerman uses surveys, experiments, and public opinion data to argue persuasively that the reputation of government is itself an impediment to government’s ability to achieve the common good. In addition to improving its efficiency and effectiveness, government therefore has an equally critical task: countering the belief that the public sector is mired in incompetence. Lerman takes readers through the main challenges. Negative perceptions are highly resistant to change, she shows, because we tend to perceive the world in a way that confirms our negative stereotypes of government—even in the face of new information. Those who hold particularly negative perceptions also begin to “opt out” in favor of private alternatives, such as sending their children to private schools, living in gated communities, and refusing to participate in public health insurance programs. When sufficient numbers of people opt out of public services, the result can be a decline in the objective quality of public provision. In this way, citizens’ beliefs about government can quickly become a self-fulfilling prophecy, with consequences for all. Lerman concludes with practical solutions for how the government might improve its reputation and roll back current efforts to eliminate or privatize even some of the most critical public services.